When you stretch an elastic band, it keeps on stretching due to it elastic properties but beyond a certain limit it breaks. Our skin is very similar to an elastic band in this regard. When the skin stretches beyond its natural potential it develops tears and scar tissue forms in those tears eventually. 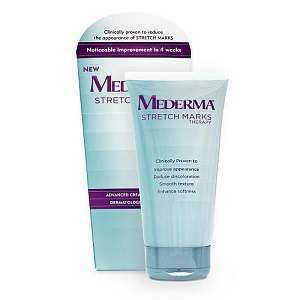 This leads to the formation of stretch marks. These purplish or reddish colored striations are revolting reminders of the skin damage caused by sudden weight gain or growth spurts. Stretch marks are generally harmless but they can disfigure one’s appearance. Also they are itchy and painful. Changes related to our body growth lead to the development of stretch marks. Whether it is abrupt weight gain, growth spurt or pregnancy, they can all lead to excessive stretching of the skin thus resulting in the formation of stretch marks. Stretchmarks can also be formed by unreasonable consumption of pills and creams rich in steroids. The reason behind it is that steroids alter collagen production in the skin. Stretch marks are painful because they are formed by the stretching of skin. Just imagine your skin being pulled as if it was being pinched, it is definitely going to hurt. Itching is caused when defense mechanisms of skin are triggered by damage caused to it due to overstretching. Scar tissue is formed, which is harder in consistency compared to normal skin and can cause discomfort. Maintain your body weight within a healthy range. Keep a balanced diet rich in fruits, veggies, cereals etc. If you have a family history of stretch marks, you might be genetically predisposed to this condition. So you should be more careful. Scar tissue in the stretchmarks can constrict blood vessels in the skin thus decreasing blood flow which can cause pain. 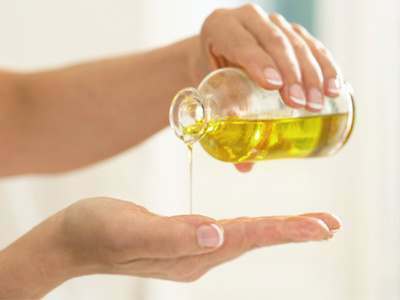 You can avoid this by rubbing Vitamin E oil or cocoa butter on the scarred area. You should never scratch your stretch marks at any cost even when they hurt. Because stretching them can worsen the damage and make them even more painful. Instead you should try some cooling gel like Aloe gel which reduces redness and swelling. Skin experts like dermatologists suggest using creams containing Retnin-A such as tretinoin cream. They advise that it is more effective to use this cream on newly formed stretch marks which are still painful and pink in color. Success rate of tretinoin creams fall from eighty percent to ten percent, once stretch marks turn whitish in color. In such cases, where the stretch marks are formed in the absence of any common predisposing cause like sudden weight gain, pregnancy etc. then you should see a doctor and get your hormones level checked. Sometimes certain hormone disorder, like Cushing’s syndrome, can be the reason. This is a rare syndrome in which adrenal glands produce excessive amounts of cortisol hormone. Cortisol affects our collagen production thus leading to the formation of stretch marks. In addition to this, certain connective tissue disorders can also cause stretch marks. Examples include Ehler-Danlos syndrome and Marfan syndrome.